This year marks the 20th anniversary of one of the greatest and worst things to ever happen to gaming: the Metal Gear Solid series. The series (and its MSX predecessors) have baffled and delighted gamers for decades, serving up an inimitable mix of social commentary, action movie escapades and bizarre medium games. Long time fan of the series Zigg is playing through every game fresh and looking back on them from a modern perspective. Warning – spoilers ahoy! 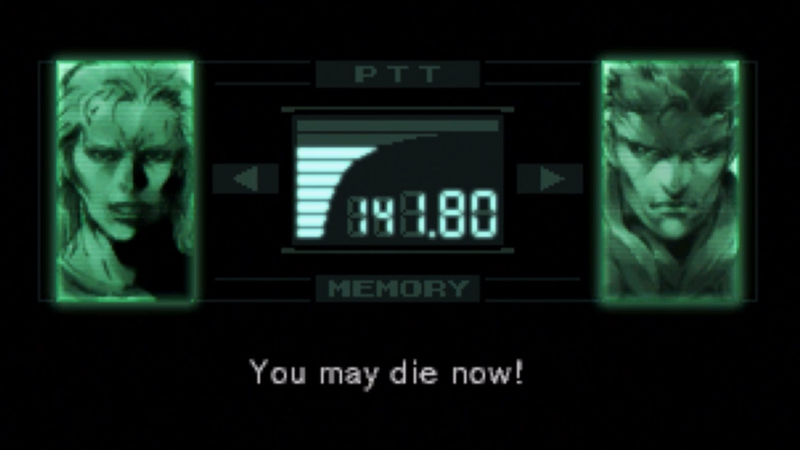 As I was playing through the original Metal Gear Solid for the first time in almost a decade, I found myself often wondering – was this really a game closing in on twenty years old? Sure, the graphics are muddy, but MGS has the look, feel and verve of a much younger game than it really is. That was always its core strength, and one of the reasons it has endured the years so well. The common narrative is that MGS was the first action movie as a video game, one that appropriated the language and stylistic beats of the older medium to dress itself up as something more than it actually was. That’s true to a certain extent, but also sells the achievements of series creator Hideo Kojima and his team short. In blending those cinematic aspirations with an evolution of the stealth-based gameplay of its MSX predecessors (as well as contemporaries such as the seminal Thief: The Dark Project) and an ambitious and weighty story jam-packed with complex themes, Kojima and co. effectively created the modern video game blockbuster, shaping the template which almost all subsequent ‘AAA’ games would follow. That’s ironic in an odd way, because if there’s one thing that surprised me upon coming back to MGS for the first time in a long time, it’s how heavily it builds upon the foundations of the games which came before it. To most casual fans, and definitely to the general public at the time, MGS was effectively the beginning of a new series, and if anybody remembered a pair of obscure MSX games ( the latter of which never made it out of Japan) then they certainly weren’t making a big song and dance about it. But contrary to our impression of MGS as a ‘soft reboot’ for the series, the game actually openly and repeatedly homages its history, in both a gameplay and story sense. MGS essentially acts as a fully polygonal realisation of most of the core gameplay systems from Metal Gear 2. It even takes a large number of set pieces wholesale from those games (an underwater infiltration, the famous electric floor sequence, the rescue of an important hostage. etc). Storywise, this is by far the simplest instalment in what would become a famously labyrinthine plot – though there are conspiracies and double crosses, they are the plot beats of a well executed cold war spy thriller, rather than the tinfoil hat nightmare the saga eventually became. It’s possible to go in cold and still follow most of the basic story beats, but the plot delights in its ties back to Metal Gear and Metal Gear 2, gleefully namedropping Big Boss and Outer Heaven at regular intervals. 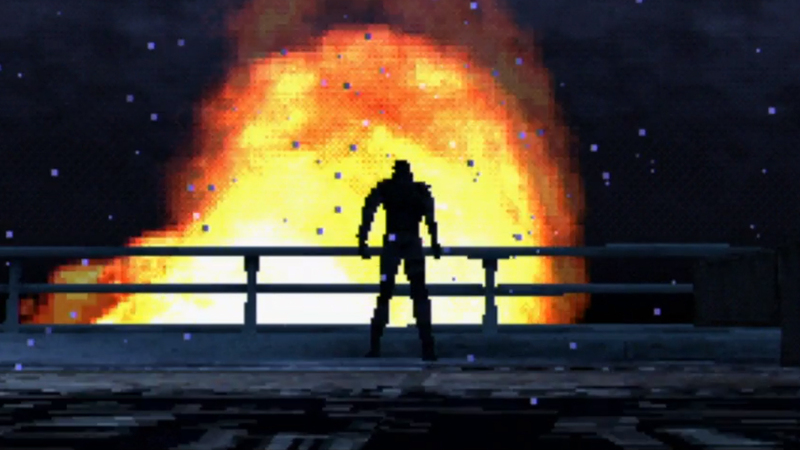 In what would become trademark themes for the series, much of the story revolves around the twin ideas of nuclear proliferation and genetic legacy, with Liquid determined to surpass his father and succeed where he failed, and Solid fearing he is inevitably tied to the fate of his old man. 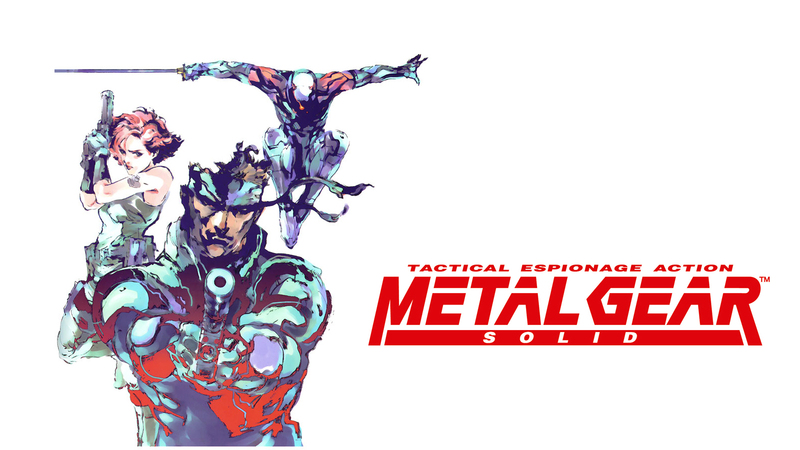 Speaking of the happy family, the most important idea which this game introduced into the ongoing Metal Gear mythology was the concept of Solid and Liquid Snakes being genetic clones of their ‘father’, Big Boss, something intended to encapsulate the ideas of nature versus nurture, and determinism versus free will. It’s an interesting idea, but it doesn’t really work too well because at this point in the franchise there just wasn’t really enough history and context to the narrative for the comparison between the ‘father’ and the two ‘sons’ to resonate particularly well. Kojima would revisit the theme with greater success in subsequent games, both because of his growth as a writer and because each additional game provided valuable additional story to build on. This is especially true of the post Metal Gear Solid 3 games, which had the advantage of being able to follow a narrative in which Big Boss was a leading character and the players could become closely attached to him. As it stands,Liquid Snake is a tremendous antagonist, but that’s mostly due to a bravura vocal performance by Cam Clarke and his series of increasingly improbable feats, rather than any overarching attachment to the character. The theme of being bound by your genes does find greater purchase with a couple of the side characters however – Otacon and his family’s involvement in the Manhattan Project is the most obvious, and one which also ties into the series’s obsession with the shadow of the nuclear age. The character of Naomi is a subversion however. She’s out for vengeance for her brother Grey Fox, despite the fact there is no genetic relationship between them, and ultimately holds back from killing Snake, proving that free will can overcome any sort of lingering ill will. MGS’s conceptual ideas are interesting, but underdeveloped and relatively simplistic compared to later Metal Gear games, which asked more nuanced questions and explored themes that were perhaps a little less on the nose. With that said, it’s important to acknowledge that even with its flaws, the content, presentation, and the sheer amount of story contained within MGS were largely revolutionary. That’s not to say that great video game stories had not been told before, because they undoubtedly had. But what MGS succeeded in doing was concentrating all the firepower of the newly minted PlayStation console, and its groundbreaking polygonal 3D capabilities, into the way the story was told. Before this story was largely the preserve of wordy RPGs, who told their tales through enormous runtimes and pages and pages of text. MGS utilised every tool that had previously been unavailable to developers – CD quality audio, extended full-motion video, large, detailed 3D environments and comprehensive voice-acting – to spin a narrative around a genre traditionally light on story of any kind. The aforementioned ideas that date the game were, at the time, unimaginably heady for a medium still regarded as much a children’s toy as anything else, and were put forward with unprecedented style and panache. 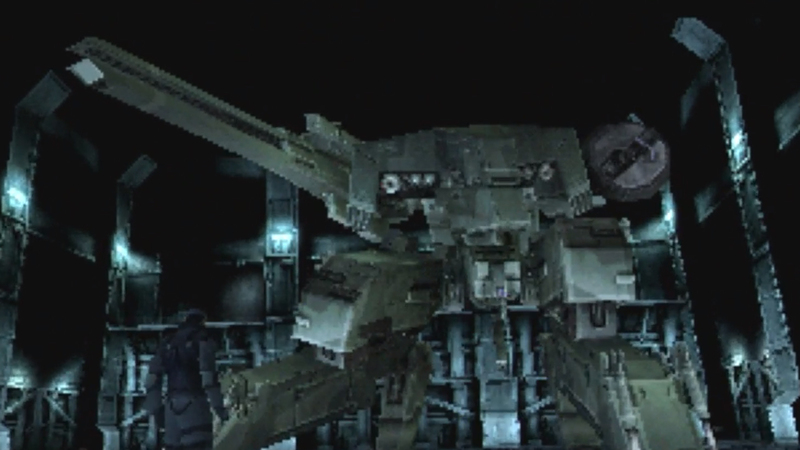 It’s easy to roll our eyes today at MGS‘s lengthy dialogue exchanges and bitty, forced exposition, but at the time we were hanging onto every word. While time and repeated exposure has obviously worn down some of the game’s presentational sheen (the completely featureless faces are a notable example), in many ways MGS has withstood the years remarkably well. Kojima’s directorial choices are still bold and remarkably, basic gameplay holds up pretty well, though it’s understandably simplistic by modern stealth game standards. Perhaps more than anything though, what allows it to transcend its age is the sly, knowing air which wraps the whole affair. MGS knows it is a videogame, and a very silly one at that, and often openly mocks itself and its premise, but crucially it never does so at the expense of devaluing its own belief in itself. It is at once both silly and serious, a tricky combination to pull off, but one which was done with aplomb, and one which would come to define the series as time went by. 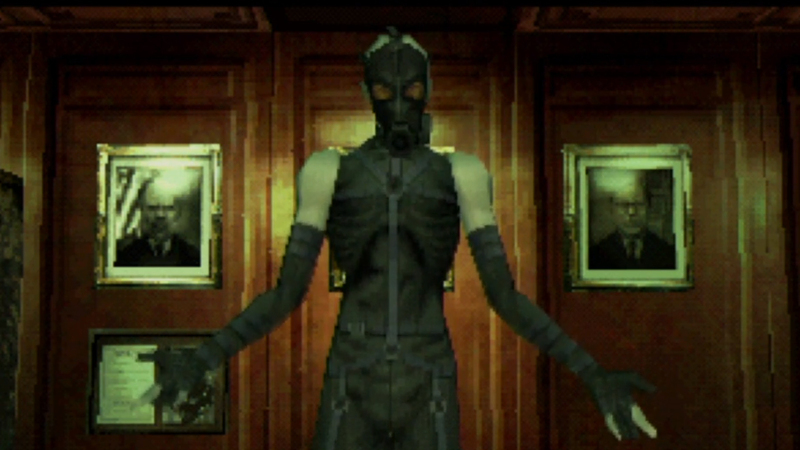 Though Metal Gear Solid 2 is often acclaimed as the first truly ‘postmodern’ video game, the original makes several major strides in deconstructing the wall between players and characters, mostly in the justifiably legendary Psycho Mantis boss fight. Though mostly played for laughs, it’s a good demonstration of Kojima’s willingness to play with the form of the medium even as he was simultaneously pushing its bounds. In the end, Metal Gear Solid still feels dated, but it certainly doesn’t feel like a game ready to celebrate its 20th anniversary. It’s perhaps a little simplistic compared to its own sequels, but there’s a purity of thought and intent to it that makes it still fun to play and fascinating to experience, a vision of a Metal Gear unencumbered by the baggage that eventually developed around the series. That and it’s still a really well structured, well paced and occasionally very funny action game. I’m not sure I could think of any other PS1 game that would hold up to the spotlight as well as this one did, and that’s a minor triumph in its own right. Metal Gear Solid rebirthed the franchise for a new generation, giving it a new set of characters, quirks and tropes, and laying the foundations for a dizzyingly deep mythology to be built.